Hotel Flora Inn is a well-decorated premium quality residency located in Sector 22, old Gurgaon. The property is located near the Ayyappa Temple. Hotel Flora Inn comes with a wonderful interior. The strategically placed windows allow sunlight to refresh the room. The rooms are bright and well lit. The well designed wall claddings, stylish wooden furnishings, and sophisticated seating arrangements give the room a perfect definition. There is also an elevator on the premises. 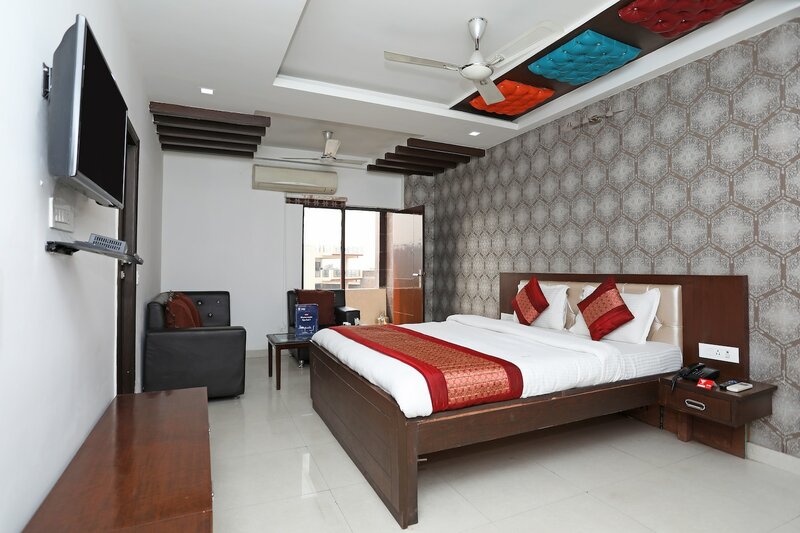 All the rooms of this residency feature a television and an air conditioner and guests are provided with free Wi-Fi, parking facility, power backup, laundry service, and CCTV coverage. Cards are accepted as a mode of payment. Chawla Restaurant, Sher A Punjab, Chawlas 2, and Shri Balaji Restaurant are some famous food joints near this place.